The most important issue for any planning and execution system for the digital executive is accountability. Without accountability, not much will get done. Now it helps to have measurable goals and achievable strategies. Holding oneself accountable starts with weekly honoring and reporting of commitments. 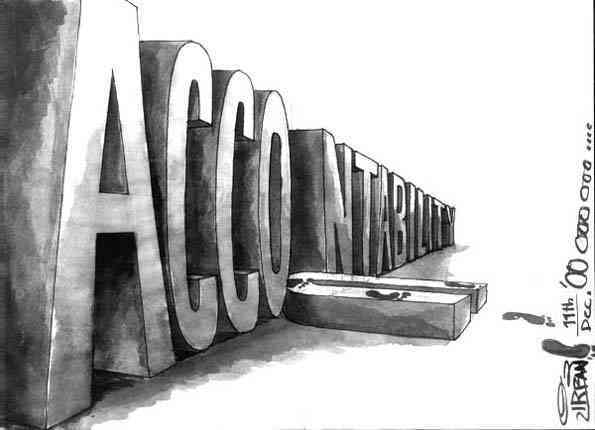 We need to start creating a culture of accountability around all initiatives. Senior management’s responsibility is to set the agenda and provide leadership. Culture isn’t created overnight but it is important. It can’t be delegated. Begin a few, heavily weighted priorities. There is a temptation to start with too many priorities around every great idea that senior management has. The list can seem endless some days. Without priorities that are clear, accountability will be difficult to achieve. Priorities should be clear and goals should be achievable. In addition to individual accountability, team accountability for shared initiatives can help move the rock. This can help where many are required to effect the goal. On the other side of the issue, having individuals sign onto initiatives that they can’t have an impact is as dangerous as no accountability. Set the tone from the top. The CEO and the C-Suite must hold themselves accountable and make sure they don’t make excuses when goals are not achieved. The Board must also be willing to hold the CEO accountable as well. That is one of their primary responsibilities. Everyone should be involved as there are many tasks to be achieved to be successful. Everyone plays a role and everyone must be willing to step up the plate to be responsible. The most important issue for any planning and execution system for the digital executive is accountability. Start creating a culture of accountability around all initiatives. Begin a few, heavily weighted priorities. Set the tone from the top. Priorities should be clear and goals should be achievable.